Nilekani says digital infrastructure will play a key role in reviving the economy. Defending Aadhaar, the Infosys co-founder said it never collected data on individual. Sources in the education dept told that Aadhaar details of the students are linked to the Student Achievement Tracking System and hence the data showed up on one PDF page. TDP has said that they did not have access to raw Aadhaar data and that it was only being used to verify beneficiaries of welfare schemes. According to the latest data, the highest job creation was recorded in January 2019 at 8.94 lakh against the provisional estimate of 8.96 lakh released last month. A bench of Justices asserted that they are not expressing anything on the merits of the case. Last date to link PAN with Aadhaar is March 31. However, CAs and legal experts have differing opinions on the validity of PAN after the deadline. There are three ways to link PAN with Aadhaar which are as follows: (a) Through SMS, (b) Through e-filing portal, and (c) While e-filing income tax return. Both candidates have made Modi the central figure in their electoral campaign. The current procedure of customer verification requires telcos to physically validate their details. The permission to use offline Aadhaar could emerge as a ray of hope for the fintech companies, bogged down by paper-based documentation process. Around 20% of India’s population is below poverty line, while 31% has monthly house income below Rs 12K. During the 2014 elections, women outnumbered men in at least 25 parliamentary constituencies and may have been responsible for the candidate’s victory. The UIDAI source said with a nominal cost for each eKYC transaction entities would still be saving on Know Your Customer (KYC) cost. Aadhaar, they said, would be a simpler and more foolproof authentication mechanism than the one using QR codes to verify IDs of new users before selling mobile connections. A voter ID card is issued by the Election Commission, and is also known as Electoral Photo ID Card or EPIC. As the financial year ends, you need to collect proofs of income, investments, bank statements and expenses to file your income tax return. Many Aadhaar-based e-KYC holders are struggling to invest in ELSS funds as part of their last minute tax planning exercise this financial year. Currently, the deadline for this has not been set by the government although those who have filed ITR for FY16-17 are required to do the same by March 31, 2019. The Cabinet waived the need for Aadhaar seeding of bank ac-counts for the second instalment of the income transfer to small and marginal farmers under PM-KISAN scheme. A few years ago, India had announced that it would give citizenship to Hindus from Pakistan and district collectors were given powers to do so. A Facebook user left stunned when a representative of the social network came to his house. The manifesto was released in the presence of Congress president Rahul Gandhi, Sonia Gandhi and former PM Manmohan Singh. A five-judge Constitution bench headed by Chief Justice Ranjan Gogoi said, "Hearing concluded. Order reserved". Flipkart, whose plans to enter into digital financial services had been in a limbo for some time, had worked with smaller fintech partners. Under the PM Kisan Nidhi Samman scheme, over 120 mn farmers will be receiving Rs 6K in 3 instalments directly into their Aadhaar-linked back a/c. Elliot Alderson, who exposed Aadhaar leaks in the past, has found that Aadhaar data of 6.7 million dealers and distributors have been leaked. “I was asked to give my biometric details despite my telling them (authorities) that I already have an Aadhaar card, ” Pramweshwar told ET. The Supreme Court on February 6 had confirmed that linkage of PAN with Aadhaar is mandatory for filing of ITRs. "Aadhaar can be used as KYC on a voluntary basis under the Telegraph Act and PMLA rules," the IT minister said. We are working on expanding in both east & west, says Paytm CEO. Here are 9 tax-related tasks you should complete before the March 31 deadline to avoid financial hardships. A Rs 3000 monthly pension will be given to individuals who subscribe to scheme from the age of 60. It also has provision of family pension for spouse in case of death of individual. Govt is mulling mandatory verification of social media accounts by linking them to phone nos or IDs. The court's direction came on an appeal filed by the Centre against a Delhi High Court order allowing two persons to file ITR for 2018-19 without linking their Aadhaar and PAN numbers. Equity Linked Saving Scheme (ELSS) or tax saving/planning mutual fund schemes are the best option available under Section 80C. It had come to be regarded as a means of bringing millions into the banking system, expanding mobile connectivity and boosting digital transactions. Trai had recommended that the right to choice, notice, consent, data portability, and right to be forgotten should be conferred upon the telecommunication consumers. "I have seen on Twitter where the names have become as 'Chowkidar Narendra Modi', 'Chowkidar Amit Shah'. Why only one twitter? He should also mention 'Chowkidar' in his Aadhaar card, voter-id and passport." Disbursements stood at Rs 41,840 crore for the third quarter of the current fiscal year, down from Rs 49,450 crore in the preceding three months. It also culls news appearing about its members on a daily basis giving banks more teeth to disburse. Farmers were required to mention their Aadhaar number and attach a copy of their Aadhaar card to the loan waiver form. ​​Logins and biometrics of Aadhaar operators have been misused to generate unauthorised Aadhaar cards, said SBI. Those farmers whose names are in the white list will have to go to their concerned bank branch to get the Aadhaar seeding done. According to him, the cost of operations of those fintech companies have tremendously increased consequently, affecting their profitability and also threatening their continued existence. The Citizenship (Amendment) Bill is a major issue in Bangaon and BJP hopes to gain electorally from it in this constituency. Election Guide 2019: What do you need to vote? Having your voter ID card alone does not mean that you will definitely be allowed to vote. It is required that your name should appear on the electoral rolls. 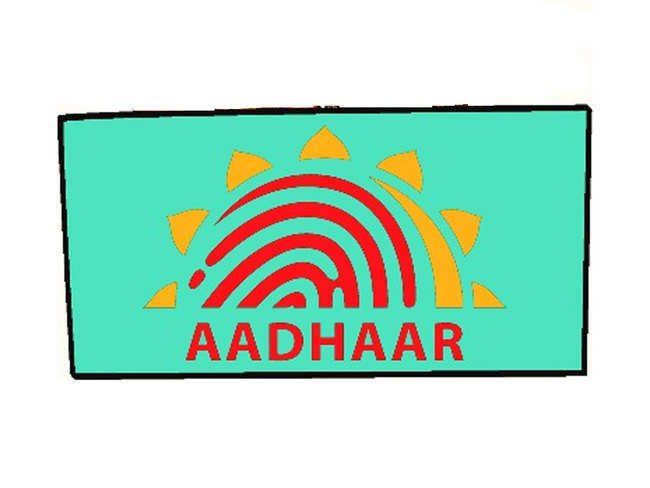 The compulsory use of Aadhaar-based KYC for mobile connections and bank accounts was prohibited by the apex court. UIDAI's efforts around offline modes like eAadhaar and QR code are likely to gather pace in 2019. Theh govt said that it has prepared a data protection bill and it will be introduced in Parliament soon. No matter what some Delhi-centric journalists and intellectuals might say, he remains personally intensely popular with people. Without legal backing, the JAM (Jan Dhan-Aadhaar-Mobile) trinity has been severely curtailed and has thrown up hurdles for digital expansion by fintech companies and banks. By the end of this year, set-top boxes would be made interoperable, Trai Chief RS Sharma said at an event. Here are some of the prominent promises made by each party on major issues. A key challenge attributed to the low turnout was the migrating Indian population, moving from Tier II and III cities into larger urban towns and metros. The initial contract of the UIDAI, which administers the Aadhaar scheme, with the CSC ended in December 2017 and has remained in abeyance since then. The Indian fintech industry has witnessed a mercurial rise in the past few years. The apex court's ruling which barred private companies from accessing the biometric database hit the banking and broader financial services sector hard. In the declaration, the party has proposed alternative policy platform under which it called for protection of the secular principle and democratic rights. This will come as an immediate relief for the telecom and banking sectors even as government moves legal changes for voluntary use of Aadhaar by these sectors. Authentication by Aadhaar through QR codes and other means will likely be available in a few weeks. An exit scheme has only been mandated for children who have been enrolled with consent of their parents. The govt is considering amendments to the Telegraph Act & the Prevention of Money Laundering Act. Mandatory authentication of an Aadhaar holder for the provision of any service will take place if such authentication is required by a law made by Parliament. The Income Tax Department has secured your e-filing account from possible misuse. To enable this additional secured access, here is the process of activating the e-filing vault. Election commission plans to propose amendments to the Representation of the People Act. "For acquisition of new customers, it is a little bit of a setback. We have gone back to the process of seeing a document and uploading it," said Madhivanan Balakrishnan, chief technology and digital officer, ICICI Bank. Nepal shares a border of over 1,850 km with five Indian states - Sikkim, West Bengal, Bihar, Uttar Pradesh and Uttarakhand. Horrendous problems and leakages will arise in identifying the poorest 20%. India has no income surveys. PM-KISAN and NYAY, both schemes have been criticised as being fiscally irresponsible and having incentive issues. The bench headed by then Chief Justice of India Dipak Misra had also upheld the passage of the Aadhaar Bill as a Money Bill by the Lok Sabha. UIDAI said the matter has been carefully examined, and the apex court has upheld the constitutionality of the Aadhaar programme, specifically Section 7 of the Aadhaar Act. In the first official confirmation about the mega project in the offing, Pandey said: "With Aadhaar Seva Kendras, we are building hassle-free and resident-friendly enrolment and update facility infrastructure to ensure ease in Aadhaar related services to residents". In September, the Supreme Court struck down Section 57 of the Aadhaar Act, which allowed data to be shared with private entities for verification.